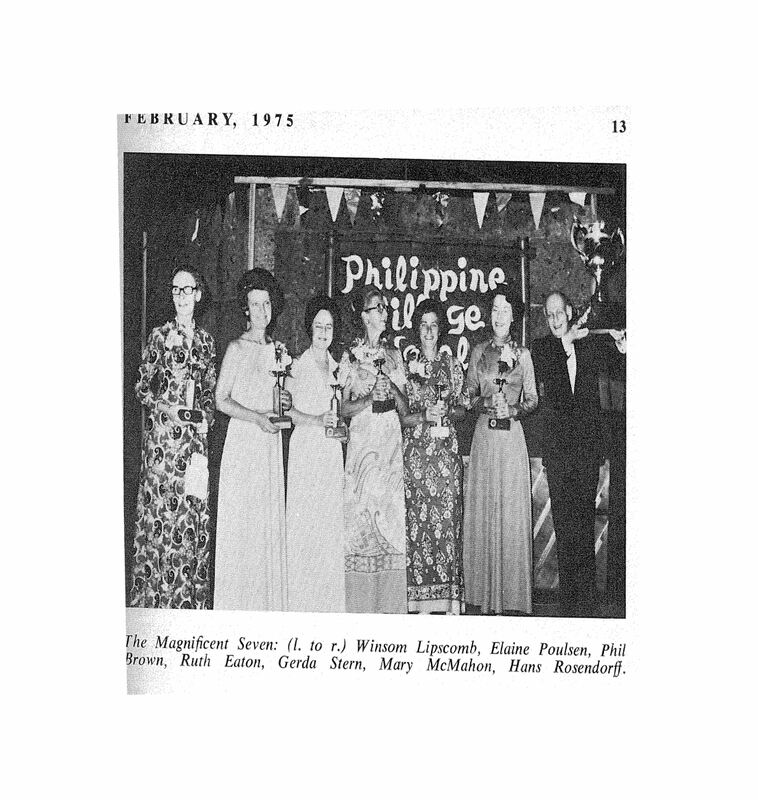 Elaine Poulsen who passed away on Wednesday 8th June represented Australia in the Far East Women’s Team in Manila 1974. 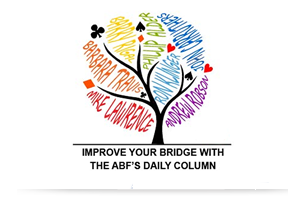 This was only the second time that a Women’s team had been successful at the Far East Bridge Federation (now APBF). Elaine and her partner Phil Brown were the Queensland Women’s Pairs Champions in 1973, 1979, 1983, 1986 and 1993. 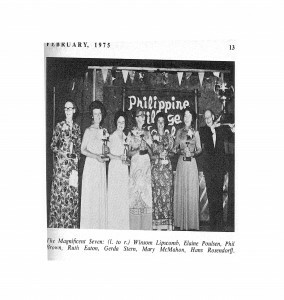 Elaine and Phil also won the ANC Women’s Pairs and they were in the winning ANC Women’s Teams in 1973 for Queensland. “That the four NSW women (Mary McMahon, Ruth Eaton, Gerda Stern and Winsom Lipscomb) form a remarkable team is well known but what must be said right at the beginning of this report is that the Queensland par, Phil Brown and Elaine Poulsen welded themselves into that team as if they had belonged to it all the time and not competed for the first time in it and that overseas. They were a charming and most successful addition to the NSW women.